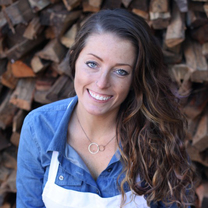 Kim Alter is the chef/owner of Nightbird and adjoining Linden Room. 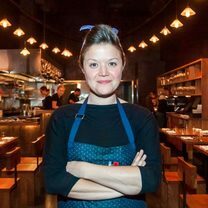 She formerly worked with the Daniel Patterson Group for three years at the helm of kitchens such as Haven and Plum in Oakland, California. Prior to that, she has worked in some of the Bay Area’s most notable restaurant kitchens including Manresa, Ubuntu, Aqua and Acquerello. Her food often takes familiar dishes to new places with creatives pins on classics. 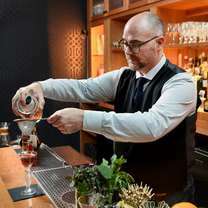 According to San Francisco chef Kim Alter—brought to you by Emirates airline. What happens when chefs read the bad reviews written about them from around the web and beyond? We turned on the camera to find out. 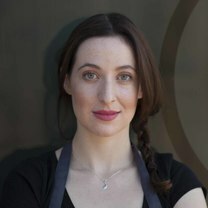 This episode: Chef Kim Alter now of Plum, formerly of Haven in Oakland, stands up for how much food actually costs, yo. "@commisrestaurant get better every time I go. Clean, thoughtful, focused, delicious thank you"
al pastor, fermented charred corn, huitlacoche salsa, corn pudding, fried hominy.